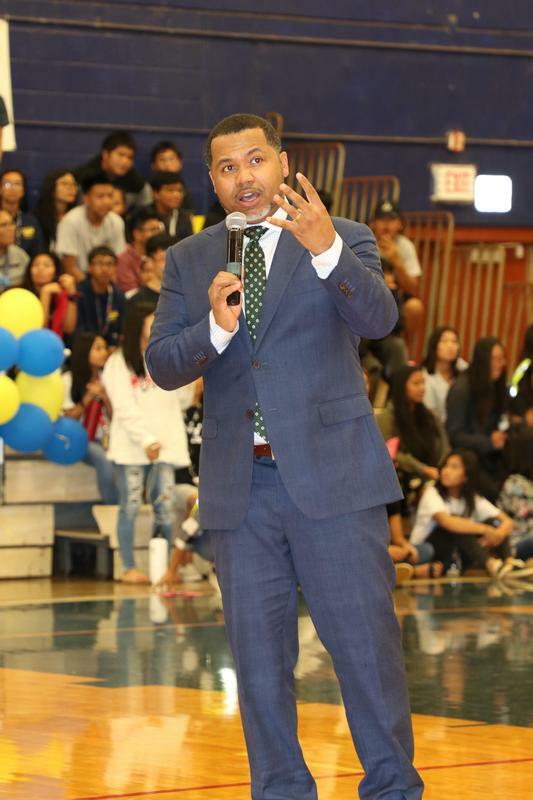 On March 14 - 15, 2019, the Waipahu High community was blessed with the opportunity to have Manny Scott share his stories of grit, perseverance and love. Mr. Scott, along with Matt Bennett, shared their message with the students, faculty and parent communities about how we can support our students in achieving their goals and dreams. Click the link below to view photos capturing Mr. Scott and Mr. Bennett interacting with our student community.